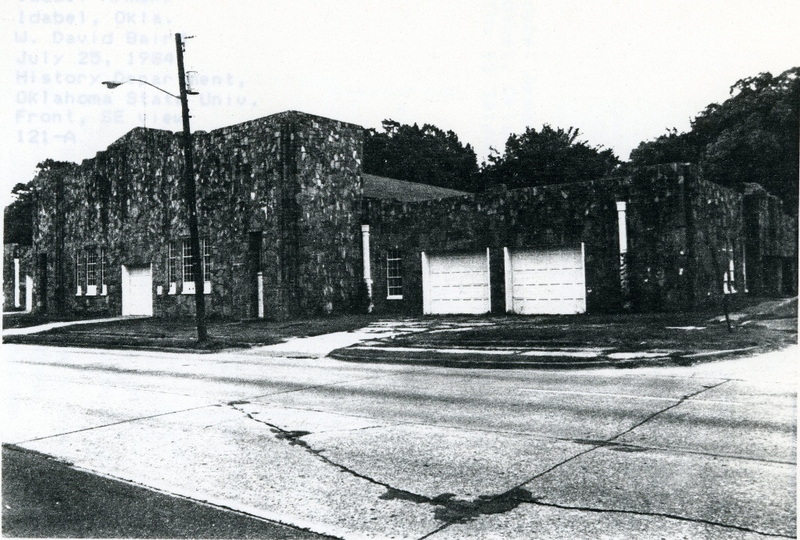 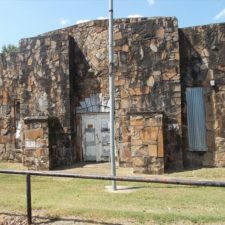 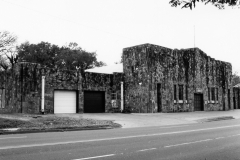 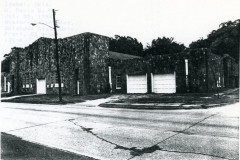 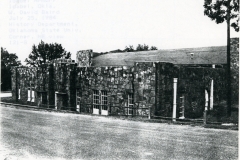 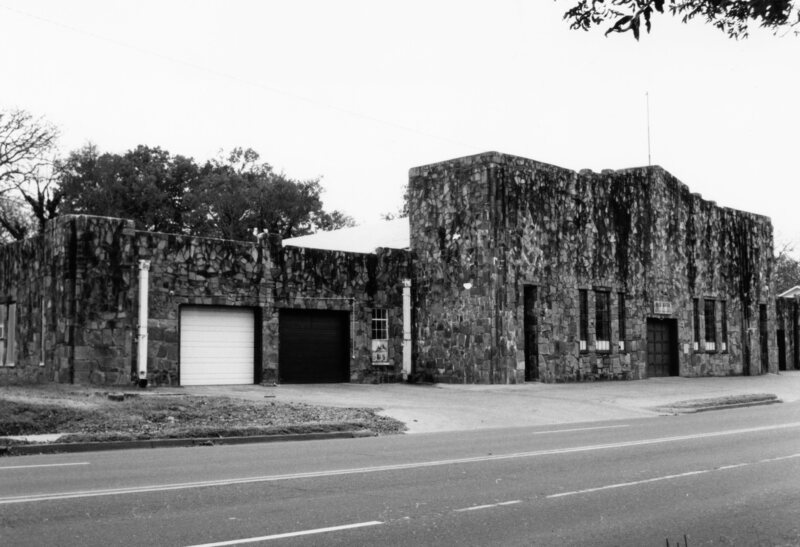 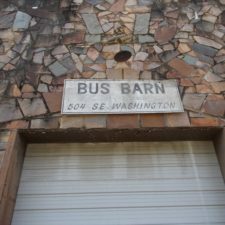 The Idabel Armory is a single story, essentially rectangular (86′ x 124′, with two wings 30′ x 92′) structure constructed of untooled native sandstone with random rubble masonry. 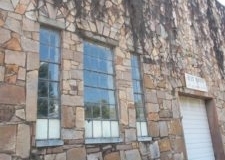 On the rear wall of the building, the stones are huge. 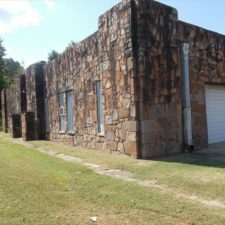 With a high interior ceiling, the central portion of the building has an arched roof, while sections on either side with lower ceilings have flat roofs. 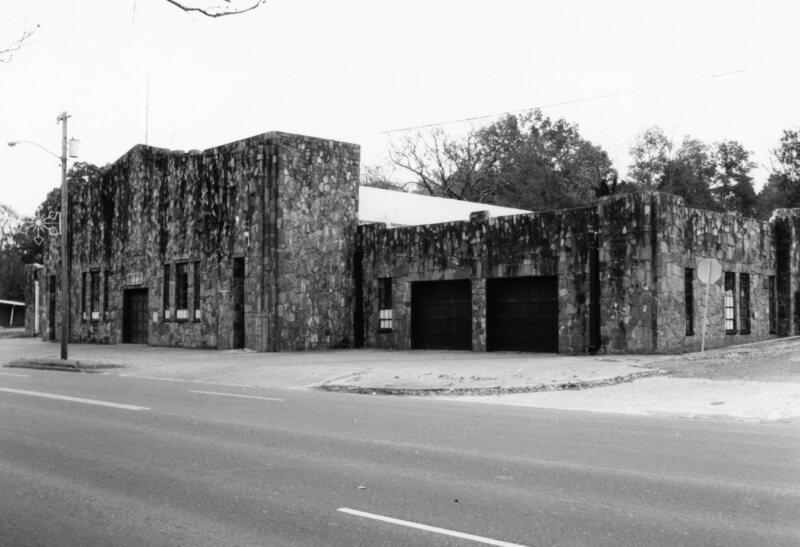 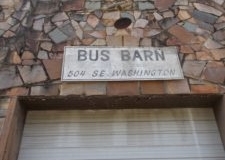 The structure contains four garage doors and metal casement windows. 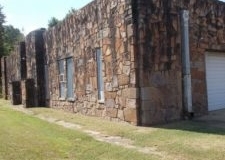 Parapets, pilasters and stepped rock work on the corners provide decorative relief. 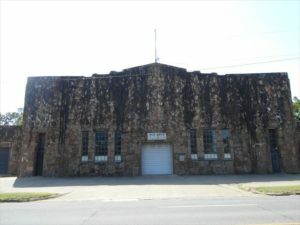 As a WPA building, the armory is notable primarily for its scale. 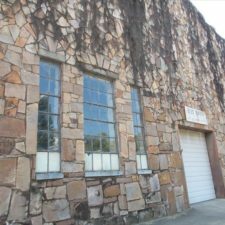 That quality makes the structure significant within the community of Idabel, but more important is its type, materials of construction and character of workmanship. 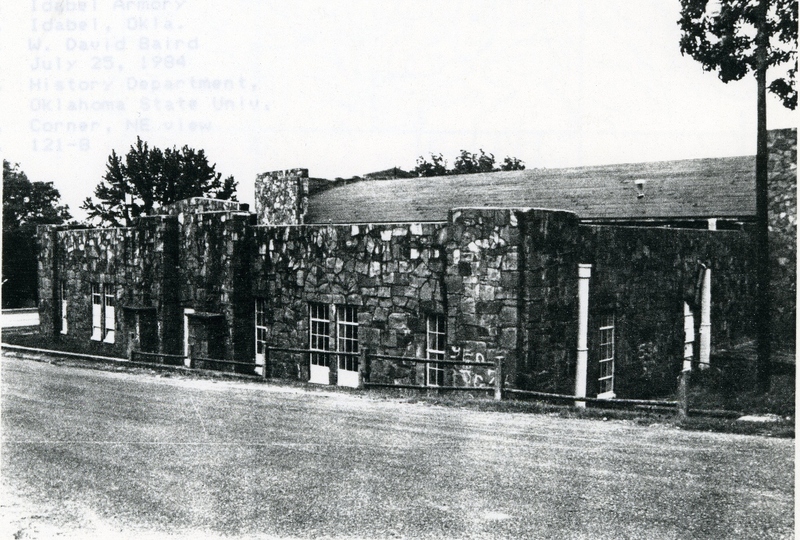 Equally significant is that the building itself contributed to a state of military preparedness which enabled the Oklahoma National Guard to contribute to the allied victory during World War II. 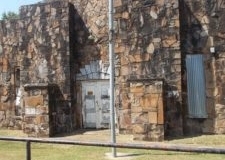 Among other things, it contains an in-door rifle range. 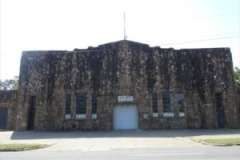 Construction of the armory likewise provided jobs for destitute workers at a point in the depression of the 1930s when there were none in the private sector, resulting in some economic security and greater self-esteem.